Jac o' lyn Murphy: Roll the Dice with Caesar's Caesar Salad! 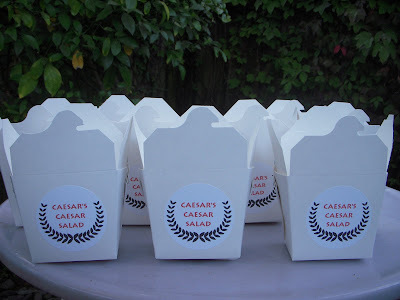 Roll the Dice with Caesar's Caesar Salad! The Casino Party we helped to host was full of fun food that my husband, Matt prepared on the hottest day of the year. 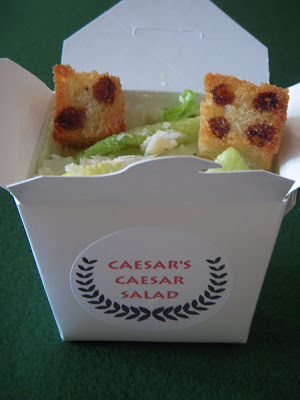 Caesar's Caesar Salad with dice croutons. Combine all ingredients but the olive oil in blender, then slowly blend in oil. Toss with Romaine lettuce and shaved or grated Parmesean.